Acupuncture has been demonstrated to provide a wide variety of benefits across alternative and complementary medicine. Patients who are candidates for acupuncture therapy but are sensitive to needles can turn to teishein, a noninvasive treatment that can provide the same positive effects as traditional acupuncture. Teishein uses telescopic, blunt instruments to touch the skin and stimulate acupoints. Hospitals, clinics, and institutes around the world are currently using teishein needleless acupuncture for pain management. In Poway, CA, Dr. Bret Mosher can use this treatment as a stand-alone therapy or as a component of a comprehensive health system. As with traditional acupuncture, teishein provides results by stimulating acupoints. An important component of Chinese Medicine, acupuncture is based on the stimulation of specific points in the body for therapeutic purposes. 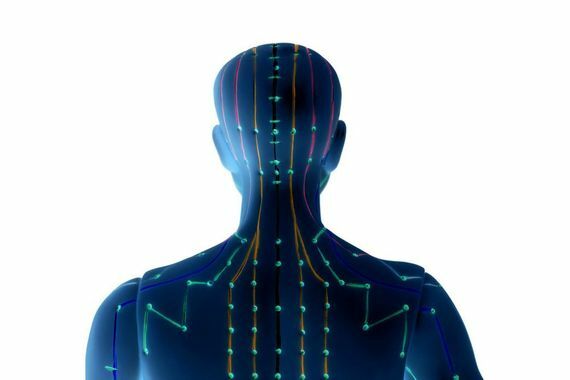 The points are mapped along the body’s meridians, which make up a network of channels that carry qi, or life energy. Stimulation of the acupoints restores the proper flow of qi. While acupuncture is largely associated with the insertion of needles into the skin, there are actually several types of acupuncture that use alternative techniques to stimulate the acupoints, including moxibustion, laser acupuncture, acupressure, and teishein. Teishein can be an adjunctive therapy to treating a variety of health conditions and concerns. Though teishein may seem simple, the technique requires a highly trained practitioner in order to be effective. The word “teishein” refers to a blunt needle or probe that does not break or penetrate the skin. A teishein tool is a small instrument often made of precious materials such as gold, silver, or platinum, which is sometimes combined with semi-precious stones such as lapis or jade. Teishein is actually a precursor to acupuncture needles. During treatment, Dr. Mosher will use a teishein tool to lightly stroke, tap, or touch an acupoint, and may hold it in place for several seconds before moving on to the next point. It produces a very mild sensation that could be compared to a ballpoint pen tapping or pressing the skin. Teishein is a pain-free treatment that can improve circulation and relieve pain. It is a non-invasive, non-pharmacological treatment that is completely safe. As one of the original forms of acupuncture, teishein has been used for centuries as a successful treatment modality. The therapy is extremely gentle, yet it can be equally powerful as traditional acupuncture treatment. As such, it can be an excellent option for patients who are averse to needles, as well as for children of all ages and for elderly, weak, or frail patients. Though teishein may seem simple, the technique requires a highly trained practitioner in order to be effective. Dr. Mosher is board-certified through the National Certification Commission for Acupuncture and Oriental Medicine (NCCAOM) and is an expert in all forms of acupuncture, including teishein. By combining safe, natural treatments into a customized program, Dr. Mosher can help you reach and maintain optimal health. To learn more about teishein, or to schedule an appointment, contact Mosher Health online today or call (858) 679-2995.